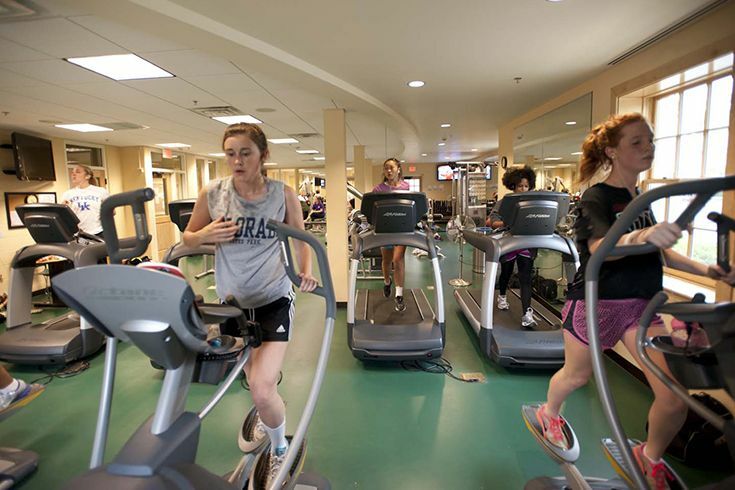 The Friends of Foxcroft Fitness members can use the fitness center, indoor track, and stationary bikes. Designed with women in mind, the center boasts state-of-the-art cardio equipment, “resistance band” weight training machines, dedicated free weights, and more. Memberships are open to women only. $350 annual membership fee* AND cool off after your work out by adding a summer pool membership (see FOF Pool membership for pool hours) for an additional $50. *Recent Foxcroft Alumnae (years 1–5): Please call the Athletic Director at 540.687.4553 for a discounted fee.